Newport County is home to some of the finest vineyards in the northeast. 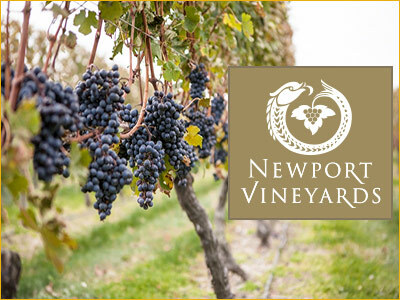 All of these vineyards are within a 45-minute drive of downtown Newport, making them easily accessible to most visitors. In addition, they are all located just minutes from the ocean, making the microclimate perfect for growing certain grape varieties from Burgundy, France. Take some time and explore the natural beauty of these vineyards, and also the award-winning selection of wines and sparkling wines. These vineyards are the real deal, with some producing up to 25 varietals each year. 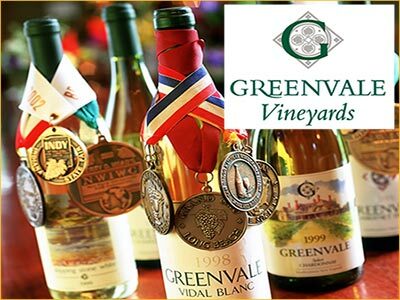 You can easily make a day of it and visit all the vineyards in a day but with so much to do at each one, you may want to visit one per day and enjoy tours and tastings at each vineyard. Only 10 minutes from downtown Newport, this vineyard is very accessible and offers tours/tastings on a farm overlooking the Sakonnet River. It is listed on the National Register of Historic Places and hosts events like book-signings and concerts in addition to weddings and other events. Beautiful location on sloping hill down to the water's edge. This is the closest vineyard to downtown Newport at just about 5 minutes. Inside you'll find daily tours/tastings amidst countless thousands of rows of locally-grown grapes for their wines. A great time to visit is during fall harvest but anytime is a fun learning experience for the whole family. Tours daily at 1pm and 3pm. Saturday - tours on the hour from 11am - 4pm. Wine tastings all day. Beautifully-landscaped grounds here as well as award-winning wines. Buy a bottle and have a picnic in the grass or take home a case. Daily tastings. A little less than an hour's scenic drive from downtown Newport. Nationally-recognized as one of the top 5 sparkling wine producers in the country. Located just east of Newport County and Little Compton, RI. About an hour from downtown Newport.